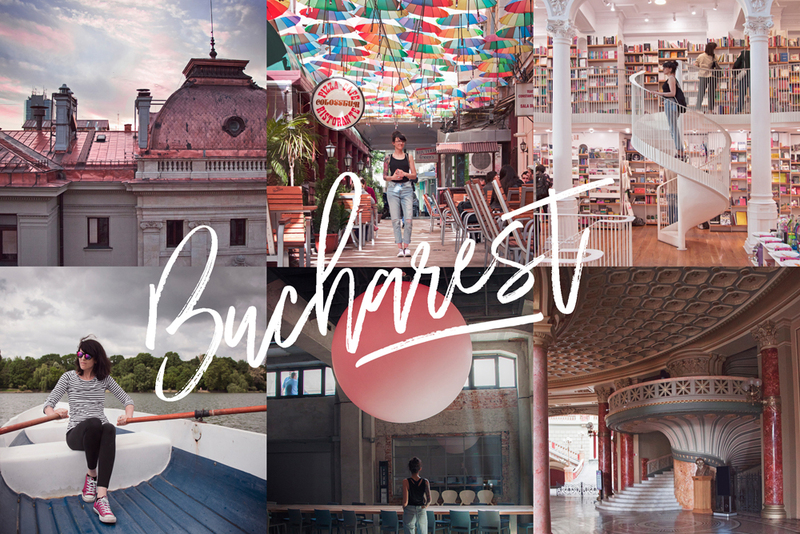 I was in Bucharest for a week to take part in #ExperienceBucharest, an initiative born as a passion project by a team of 100+ volunteers from Travel Massive Romania. I got together with a group of 100+ international travel bloggers and influencers to help position Romania as a top travel destination and I’m so proud to have been able to take part in such an exciting endeavour. Follow #ExperienceBucharest (and follow me!) 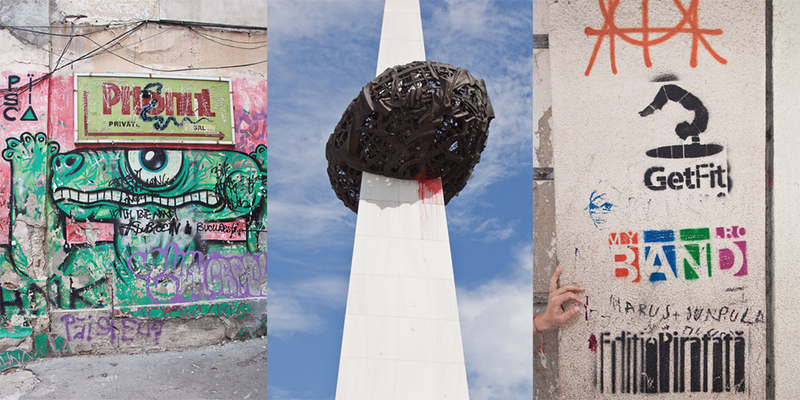 on Instagram to discover a city filled with wonders and fascinating history. I literally could not wrap my head around all the cool and hip things at every corner. My top tip for Bucharest is this: for longer distance you can’t do by foot, use Uber rather than conventional taxis, as they might try to scam you by charging you way too much. Any 10-15 min Uber ride will cost around 2 euros, so it’s perfect for short trips to hop from one thing to the next when you are on a time crunch to explore. If you don’t know where to start, here are some tours I recommend warmly. I did an Alternative Tour (mostly about street art) and Rroma Heritage Tour and enjoyed them both, especially the Rroma tour. Come and unlearn everything you thought you knew about Gypsies, and end the tour sharing a meal and a very honest conversation with a group of local, politically engaged Rromani people. When you get back into town, buy something truly special at Meşteshukar ButiQ, a network of social economy enterprises and an active supporter of Rroma traditional crafts. Very unique, fascinating and necessary tours. I did a short Saturday walking tour of the most important buildings with Roaring Romania and it was the best way to get my bearings on and map out where I would be taking my Instagram photos later. They also organize longer tours to Transylvania and other cities in Romania, Brasov and the Danube Delta and these are on the top of my list for next time! For even more awesome tours, check out Interesting Times, Authentic Romania, Bucharest Walkabout Free Tours, Romania Slow Tours, My Secret Romania and Romanian Friend. 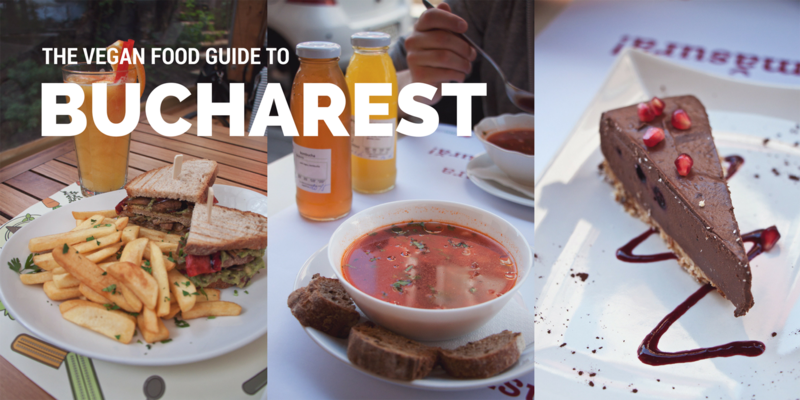 Bucharest has a pretty swell up-and-coming vegan scene which you can read all about in my vegan food guide. It’s also designy cafe and hip restaurant galore right now. Just. Too cool, Bucharest. Too. Cool. For the lowdown on where all the cool cats hang, check out this list of 73 (!) places to hang out and people-watch. Podstel is all about community and operates on the belief that travel and education are vital in order to develop yourself and bring about positive changes in the world — that’s my kinda place. The hostel has pods instead of rooms — hence the name — of the kind visitors to Japan may be familiar with. The place was established by three young guys (two Brits and an American) who spent four years traveling the globe, talking to hundreds of fellow wanderers along the way and peeking at more than 400 hostels in over 40 countries — all to find out what would make the perfect hostel that they would open. Gets my vote. 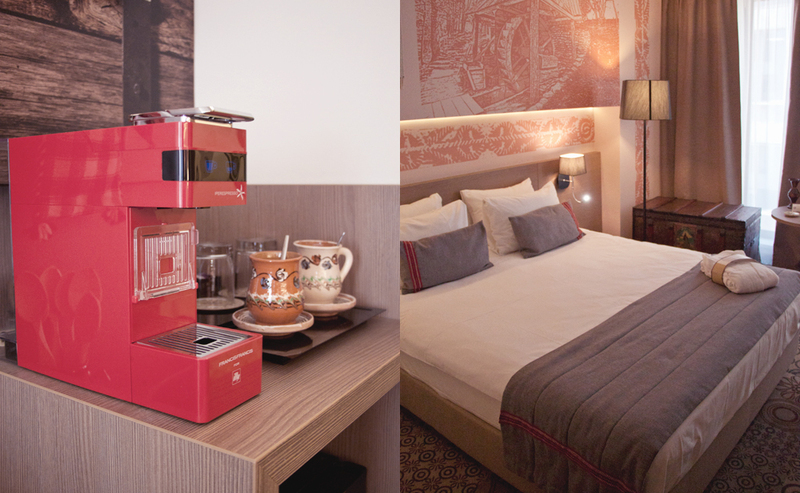 BOOK YOUR STAY AT PODSTEL BUCHAREST NOW! 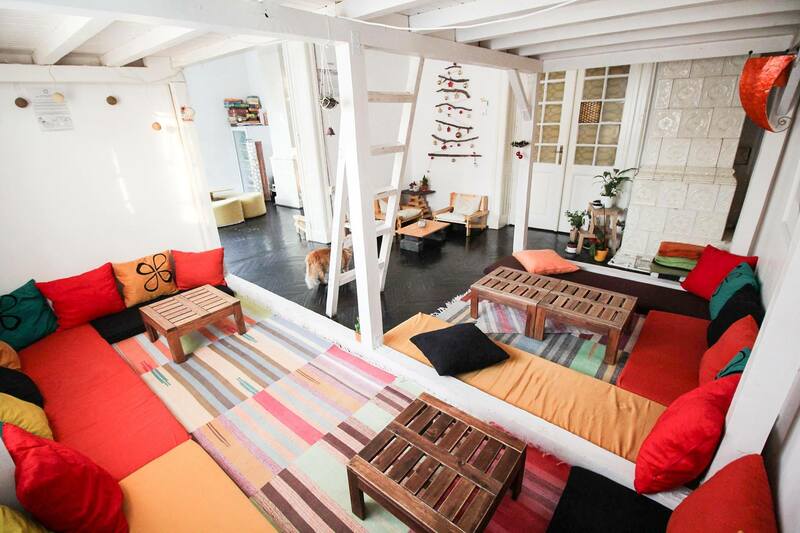 Can you have a stylish and elegant hostel, and in Bucharest? Sure you can. Pura Vida hostel gives you a chance of a comfortable and sassy stay in the bohemian Old Town area of the city without splashing the cash. Plus, it’s got a Sky Bar on the building’s fifth floor with super views of the Old Town — it’s a great place to have a drink or two while watching stunning sunsets in one of Europe’s great cities. Important metro stops and everything else vital just steps away. BOOK YOUR STAY AT PURAVIDA HOSTEL NOW! It’s the place you wanna be — Bucharest and the Little Bucharest Bar and Hostel, right smack-bang in the heart of the vibrant action in downtown Old Town. Little Bucharest is a welcome place of respite for travelers that’s run by travelers, so they know exactly what you need. Room or dorm, free high-speed wifi — and glorious views of this marvelous and hip city from toweringly tall windows. What more could you want? BOOK YOUR STAY AT LITTLE BUCHAREST BAR AND HOSTEL NOW! The Mercure is a total cure for any world-weary traveler. It’s just what you need to pick you up while in this dazzling European city of high culture and art. You get all the guaranteed comforts of any Mercure property, as well as your very own Expresso machine, free wifi — and free minibar (manager’s orders). Book me in right now because I am absolutely on the way! BOOK YOUR STAY AT MERCURE BUCHAREST CITY CENTER NOW! Ah yes, those of us who love our little (large) luxuries indeed know where to find them. And in Bucharest it’s at the Premier Palace Spa Hotel. Contemporary designs that border on opulent greet the visitor in any part of this desirable property, and the spa facilities will truly have you in seventh heaven. What is not to like? BOOK YOUR STAY AT PREMIER PALACE SPA HOTEL NOW! It’s a beast of a place, The Mansion in Bucharest, and you’re gonna love it. At first sight, you’ll be blown away — that’s because this boutique hotel occupies a stunning heritage building from the 19th century. Inside, it’s another feast for the eyes, as new life is given to this ancient structure, now expressing clean, modern lines and reflecting the best of the Art Nouveau and Eclectic era. It’s Bucharest brilliant. BOOK YOUR STAY AT THE MANSION NOW! Many thanks to Experience Bucharest, Open Doors Travel, Romanian Friend, Hotel Mercure City Center, Bucharest tourism board, Roaring Romania, Pura Vida Hostels, and all the wonderful partners and volunteers who made it possible for me to explore this exciting, vibrant and just amazingly cool city. This is perfect! My husband and I are going to be heading to Eastern Europe next year and Romania is at the top of our list. These are great suggestions and podstel sounds amazing! The art there looks amazing! Is there a particular hotel you would recommend that’s really close to the big sights? My husband and I love being able to walk most places when we travel. I stayed at Mercure and it was within walking distance of everything! Great tips! This city looks beautiful. I like that you did some unusual tours. I love tours where I learn some uncommon things. I’ll also remember about using Uber if I ever go. Thanks for the tips! I’ve never been to Romania but from what I’ve heard it’s quickly becoming Europe’s next budget destination for travelers. The places you picked for staying look super funky and nice! I need to go to Bucharest, looks like ample options for interesting and affordable accommodations. Thanks for this informative post. Bucharest is awesome! We spent 3 months there are really would like to go back. Great parks, great restaurants and very affordable. Good to know Uber is now there when we were there in 2015, Uber had yet to start. Most of our cab rides were fine but the driver did try to scam us on our way to the airport when we were leaving. Thanks for all the great tips on accommodations in Bucharest. It’s been on my radar as a destination for a bit now. I’ll use your advice when we book. Thanks! I’d love to stay in most any of these. Often when I’m on a solo trip, hostels are my thing. Bucharest is definitely on my list. This is so funny, I am from Bucharest and I’ve never been able to see the city from a traveller perspective. Thanks for sharing your adventure with us. 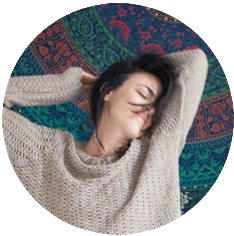 Loved your post and came here thro Instagram link! Would like to see Bucharest !